Cockos Reaper 5.95 – Digital audio workstation. 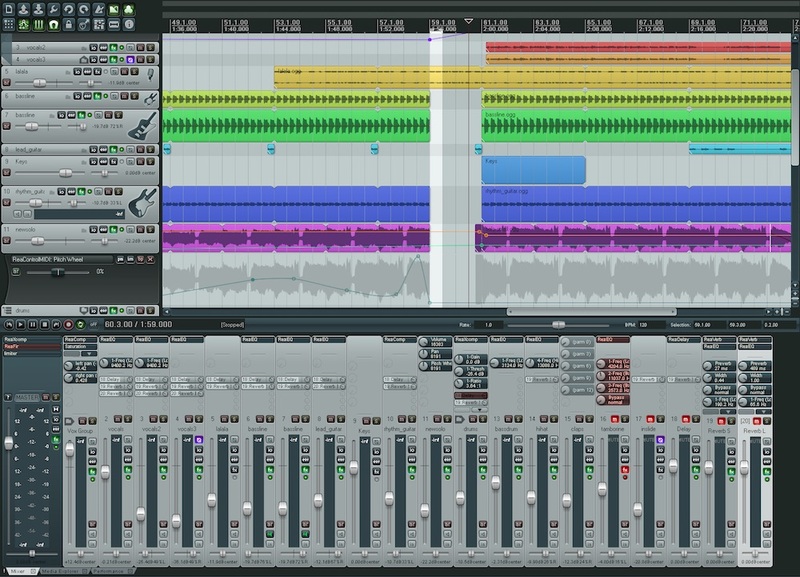 Reaper is a digital audio workstation: a complete multitrack audio and MIDI recording, editing, processing, mixing, and mastering environment. Reaper is designed to let you work quickly and creatively, without imposing any artificial limits on what you can do. It includes professional plugins, advanced customization, and compatibility with almost any hardware. It supports both VST and AU plugins. Next story Wattagio 1.2.2 – Manage your MacBook battery health. Previous story Grids 4.11 – A beautiful way to experience Instagram. Nicecast 1.10.9 – Create an Internet radio station on your Mac. Loopback 1.0.1 – Cable-Free Audio Routing for Mac. Apowersoft Mac Audio Recorder 2.3.9 – All-around audio recording program.